July and August are not made for inside clubbin’ so most of the clubs are closed during summer, but now they’re back in business! Last weekend started a new season of the ¡Que trabaje Rita! party (I couldn’t go, unfortunately). Now I’m open to new parties! These photos are from June actually, from Diamante Club. Enjoy! Julio y agosto no se va al interior de los clubes así que la mayoría de los clubes están cerrados durante el verano, pero ahora ¡están de vuelta en el negocio! El fin de semana pasado comenzó una nueva temporada de la fiesta ¡Que trabaje Rita! (yo no podía ir, por desgracia). Ahora estoy abierto a nuevas fiestas. Estas fotos son,en realidad, de junio, de una fiesta en Diamante Club. ¡Disfrute! When I moved here, few months ago, I didn’t knew that my street is so alive. 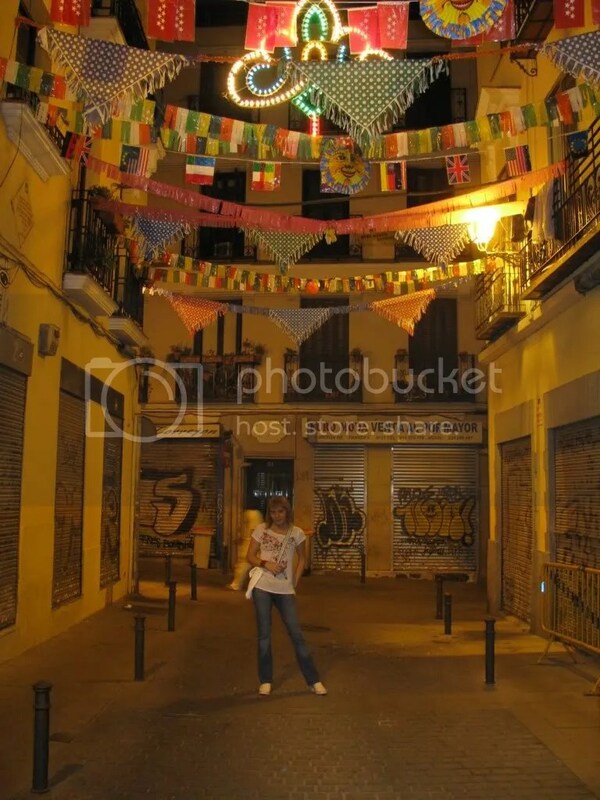 Being rather a small (maybe 150m long) and narrow alley, I couldn’t guess what an important event take place here, every year in August, so I was surprised when some of the “vecinos” started to decorate it with colorful garlands and old-time framed photos. After that I found out that here, on my street, people celebrate San Cayetano, a traditional religious holiday, and my street also received the title of the most beautiful decorated street for this event. 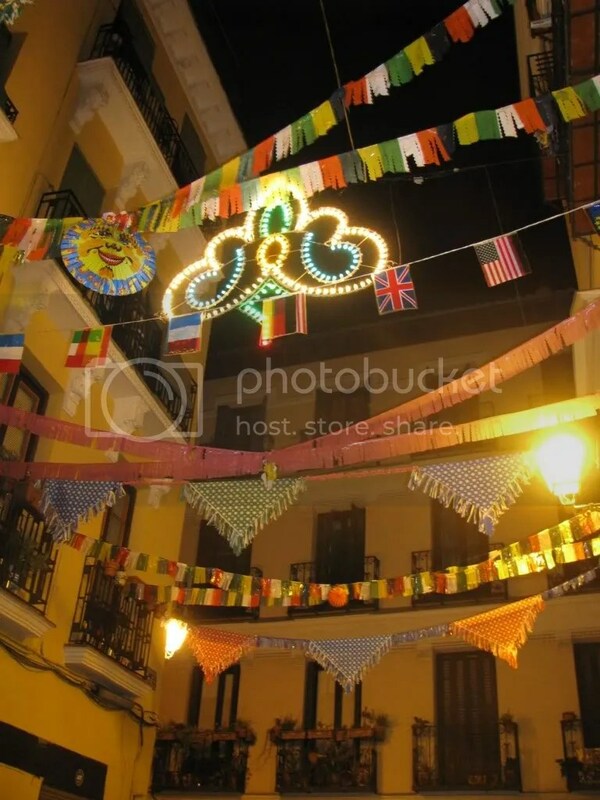 Moreover, here took place the best fiestas for this event. Wonderful! I gather some friends and we went to the party. First, the neighbors served limonada, a lemon-based refreshing drink, while the music was on and people dancing, then the spectacle begins: three transvestites were the stars of the night, dancing, singing and entertaining the party with jokes and spectacular outfits; there was also a voice-gifted young singer, long time applauded, and finally a dance with all the organizers gathered around Emy, the one of the transvestites that actually lives on this street. The atmosphere was fantastic, all the people singing and dancing… thank you, my dearest street for a wonderful night! Click on the photos to see a bigger size.